Can't wait until all of Miami Beach is swallowed by a sinkhole. 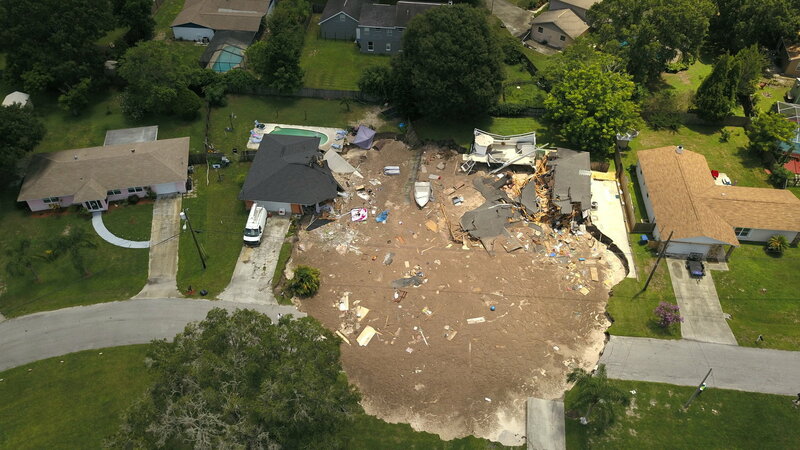 Florida authorities this morning asked multiple families to evacuate their homes after a sinkhole swallowed up a boat, an entire house and most of another in their neighborhood, police said. Emergency workers approached each home in the area to personally evacuate every structure. There were no injuries reported as of early Friday morning. During a press conference on Friday, officials said the sinkhole, which is still growing, had swallowed a swimming pool, in addition to the homes and the boat. The hole is currently filled with water and debris, and officials warned that it could be a month before the issue is resolved. The sinkhole, which authorities said was between 225 and 250 feet wide and about 50 feet deep, also resulted in a loss of power for about 100 other homes in the area after the local energy provider cut power for some residents as a safety precaution. Authorities first received a call about the hole at 7:21 a.m. ET when a resident reported that an open depression under a boat, which authorities found completely swallowed less than 10 minutes later, officials said.